David Roberts founded North Shore Physical Therapy Associates, Inc. in 1981 and has dedicated his time and effort to developing a quality physical therapy practice to serve the communities north of Boston. His expertise is in orthopedic physical therapy. 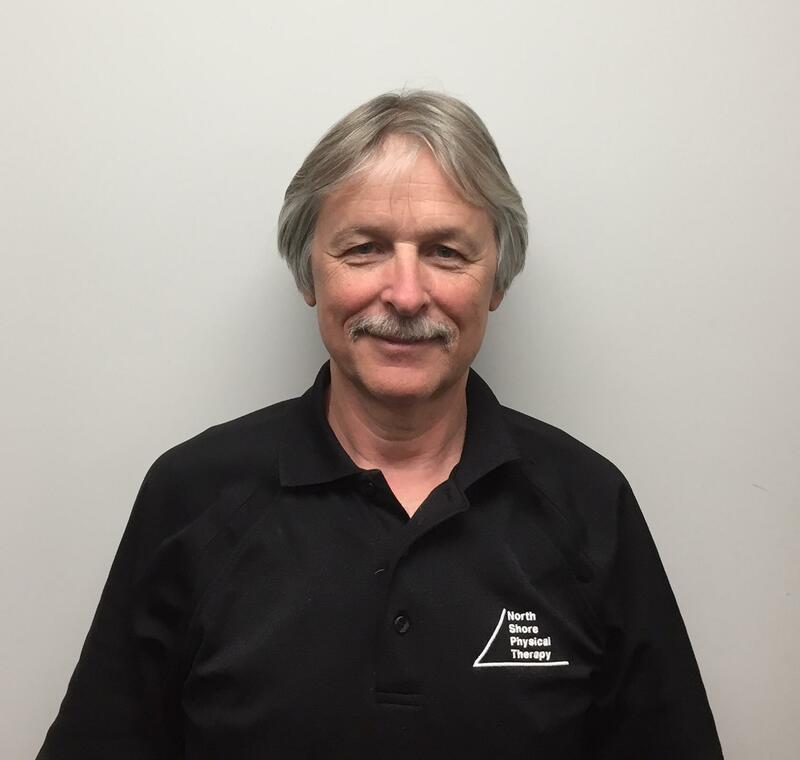 David's experience includes working at the 1984 Olympics as a physical therapist. He has co-authored research articles on chronic pain and has instructed Clinical Kinesiology at Northeastern University. Boston University has found him lecturing on pain management. Additionally, David has lectured on Shoulder Dysfunction at the International Music and Medicine Conferences in California. David was also a consultant at Massachusetts General Hospital's Musician's Clinic from 1990 to 1995. After receiving a Bachelor of Science degree in physiology from Michigan State University, David earned a Master's Degree in Family Counseling. In 1978, he received a second Master's degree, in Physical Therapy at Boston University. After his first semester at Boston University, David was awarded an academic scholarship based on his caliber of performance at school. He is a member of the American Physical Therapy Association and is active in the Private Practice, Orthopedics and Sports sections of that organization. Adam Fall is the clinical manager at North Shore Physical Therapy. He joined the company in 2009, and has extensive experience treating chronic neck and low back conditions, as well as shoulder, knee, and ankle pathologies. Adam received his Doctorate degree from Arizona School of Health Sciences in 2007, and after graduating, Adam worked at an orthopedic sports medicine clinic in Arizona, where the primary focus was manual based therapy, including techniques from Maitland, Paris, and Mulligan. Prior to graduating as a physical therapist, Adam was a Certified Strength and Conditioning Specialist, working as a personal trainer with a variety of clients. 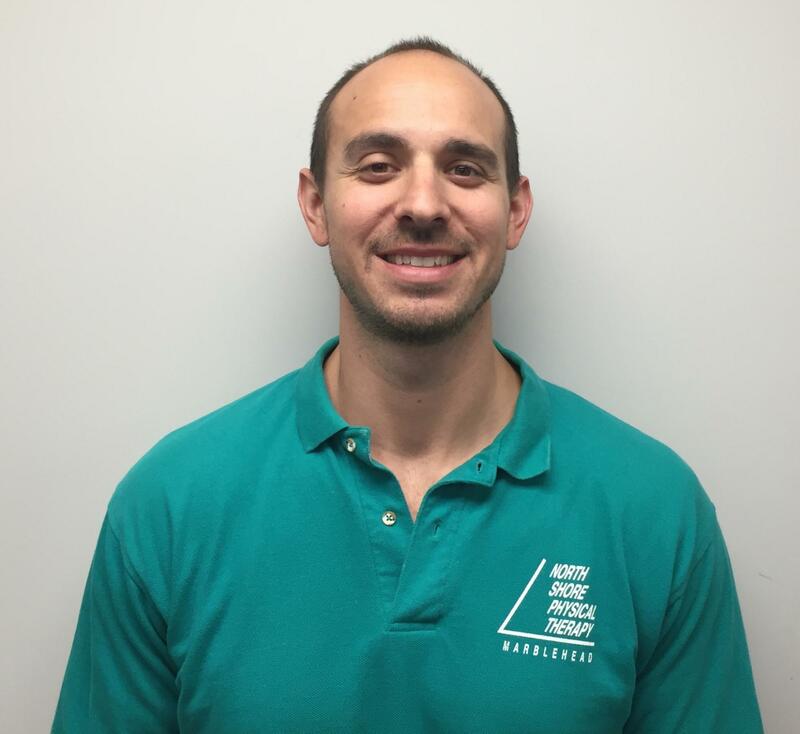 In 2009 Adam moved to Marblehead where he has continued his practice of using manual therapy, exercise prescription, postural education, and dry needling. He has been the clinic instructor since 2013, providing mentoring and education to physical therapy interns. He has also lectured on ACL and osteoporosis prevention, as well as return to golf activities. Originally from Seattle Washington, Adam has 3 children and helps train and coach their teams, as well as play on his own adult sports teams. Adam enjoys traveling, working out, hiking, and skiing with the family. 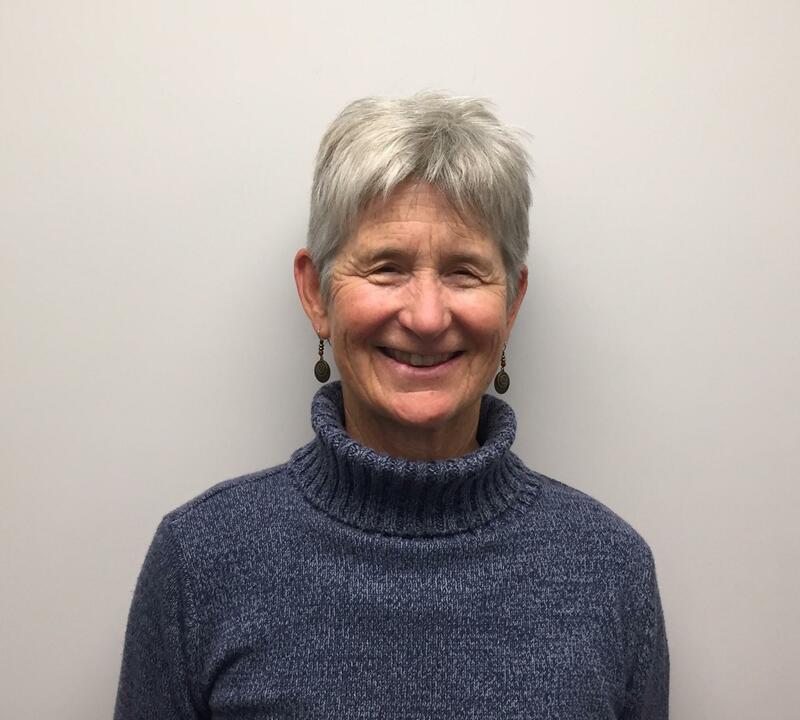 Nancy joined North Shore Physical Therapy in 1998. Dr. DeMuth earned her doctoral degree in Physical Therapy in 2007 from the MGH Institute of Health Professions in Boston, MA. She received her Masters degree in Manual Therapy in Australia in 1997 and her Masters in Physical Therapy from Boston University in 1987. Her expertise is in the treatment of spine, geriatrics, and the prevention and treatment of injuries associated with dance and pregnancy. Outside her practice at NSPT, Nancy pursues dance, yoga and movement which she has studied for over 40 years. She teaches adult classes in Kripalu yoga/dance and has adapted theses classes for older adults and those with various physical limitations, including those with Parkinson’s disease. Olivia was born and raised on the North Shore. She went on from Gloucester High School to the University of New England where she graduated with her B.S. in Applied Exercise Science. Olivia completed her senior year internship working at an outpatient physical therapy clinic in Maine, where she solidified her interest in the field with hands on clinical experience. She chose physical therapy due to her interest in helping others live a healthy lifestyle and improve their quality of life. She went to graduate school in Boston at the MGH Institute of Health Professions, graduating with her doctorate degree in physical therapy. 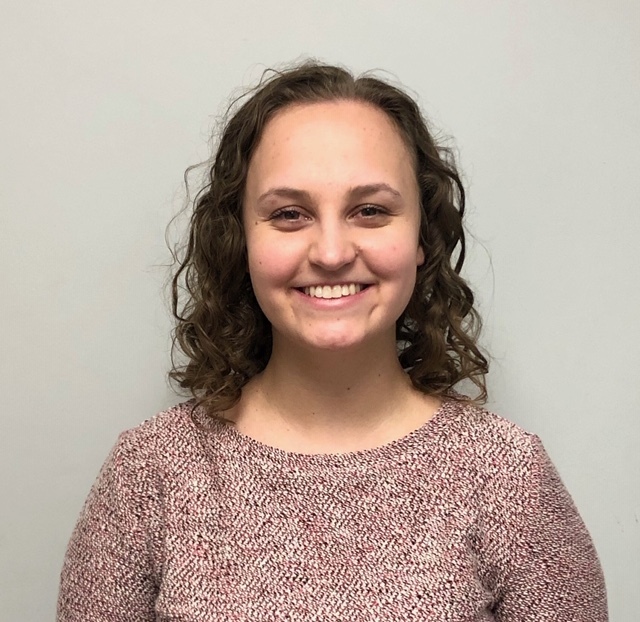 Olivia has had clinical affiliations in inpatient rehabilitation, outpatient orthopedics and the public school system before completing her final internship here at North Shore Physical Therapy. Olivia enjoys working in the outpatient setting best as it gives her time to form relationships with her patients and help them progress over time. She enjoys working with patients across the age spectrum, ranging from children and young athletes, to the geriatric population. Outside of work, Olivia enjoys staying active and playing her favorite sports- tennis, basketball, and softball. She is a huge Boston sports fan. She loves spending time with her friends, her family who live locally, and their two golden retrievers. Jasminn grew up in Syracuse, New York and spent a lot of her time playing soccer and lacrosse. Multiple injuries and surgeries in high school introduced her to different healthcare providers associated with orthopedic/sports medicine, including a few physical therapists. She appreciated the time her physical therapists took to get to know her and tailor an individualized treatment program to get her back to her sports each time. From then on, Jasminn knew she was interested in pursuing physical therapy as a future career. Jasminn completed her Bachelor’s degree in Biology at SUNY Geneseo and her Doctorate of Physical Therapy at SUNY Upstate Medical University in Syracuse, New York. Throughout her clinical rotations in physical therapy school, she developed an interest in treating both orthopedic and neurological populations in the outpatient setting. Jasminn’s special interests include lower back pain, balance impairments/deconditioning, and neurological diseases such as Parkinson ’s disease. Outside of work, Jasminn enjoys staying active with running, Pilates, taking spin classes, and hiking. She also enjoys following Syracuse University sports, as well as spending time with friends and family. 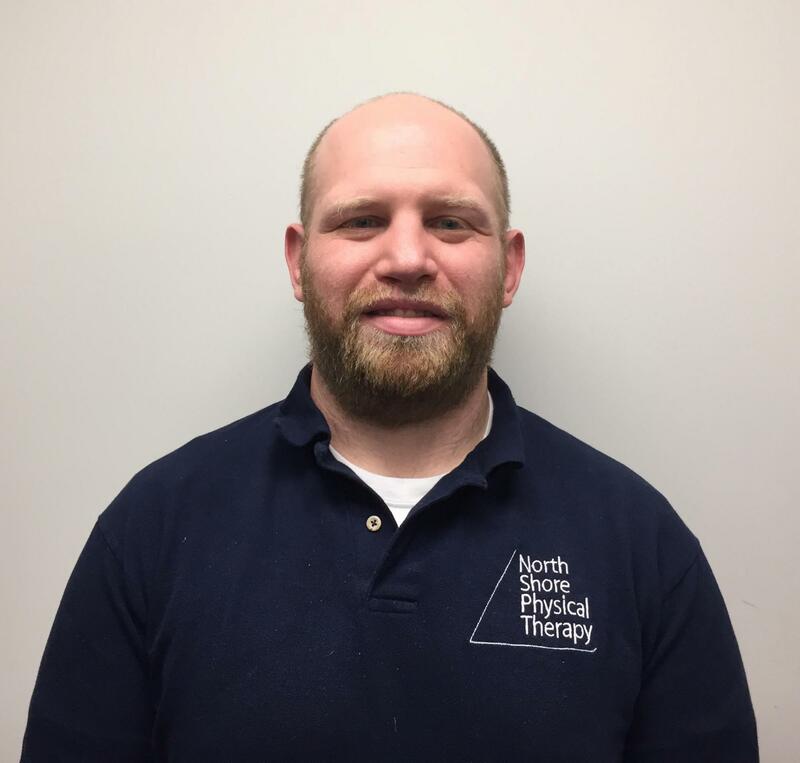 Stephen joined North Shore Physical Therapy in August 2013. He is originally from southern New Hampshire and completed his Bachelor’s degree in biological sciences at the University of Vermont in 2010. After graduation, Stephen went on to study physical therapy at the MGH Institute of Health Professions in Boston, MA. As part of his schooling, he had 10 week, full time clinical affiliations at an outpatient orthopedic clinic and an inpatient skilled nursing facility. After completing his coursework in physical therapy, Stephen went on to a one year clinical affiliation at the outpatient physical therapy center at Massachusetts General Hospital in Boston, MA where he received extensive training in treating a variety of orthopedic conditions with an emphasis on manual techniques and functional retraining. Stephen continued working in Boston after receiving his physical therapy license in January 2013 until he came to North Shore PT in August 2013. Stephen’s special interests in physical therapy include evaluating and treating chronic knee and low back pain and working with clients following a variety of orthopedic surgeries. Outside of working, Stephen enjoys spending time with family, golfing, and playing basketball. 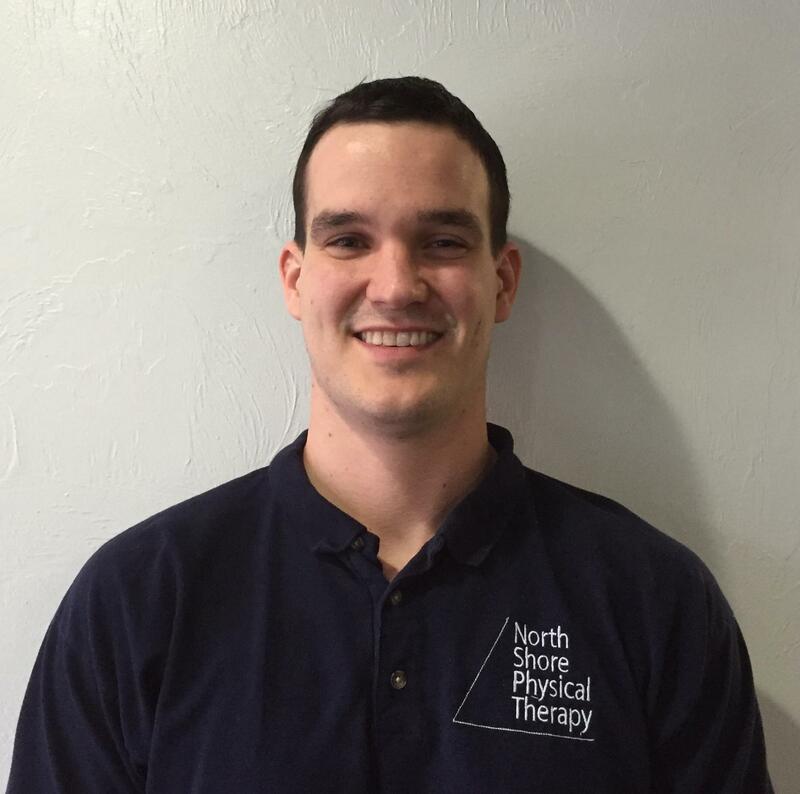 Jonathan joined North Shore Physical Therapy in June 2014. He is from Hamilton, MA and returned to the area after completing both his undergraduate and graduate degrees in Pennsylvania. He received his Bachelors of Science degree in Exercise and Sports Science from Ursinus College in Collegeville, PA. While at Ursinus he was a dance minor, four year member of the wrestling team and three year member of the rugby club. After graduation he attended Temple University in Philadelphia where he obtained his Doctorate in Physical Therapy. During his time at Temple, Jonathan had multiple outpatient orthopedic affiliations in Northeast Massachusetts as well as Philadelphia. Jonathan has a special interest in shoulder and low back injuries as well as post surgical clients and sports injuries. Outside of work, Jonathan enjoys working out, bowling, going to the movies and spending time with friends and family.